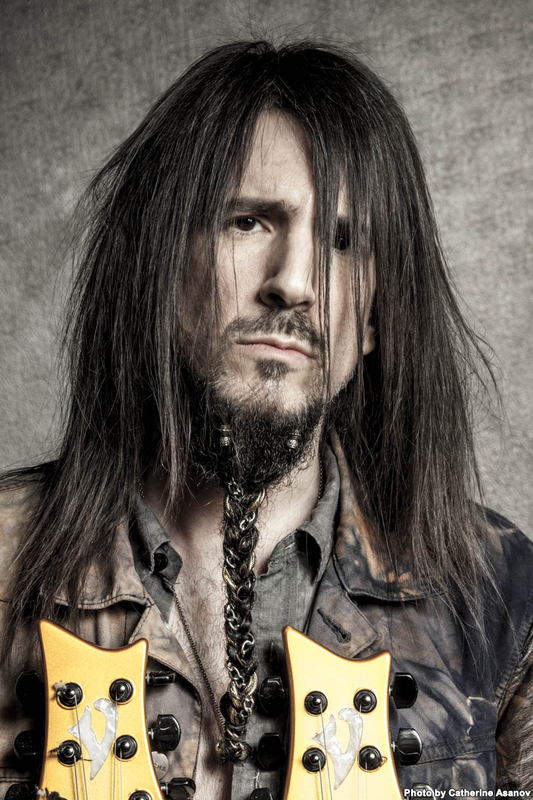 Ron “Bumblefoot” Thal is a guitar virtuoso, singer, songwriter, multi-instrumentalist, and producer. He is likely best known for his stint as lead guitarist for Guns N’ Roses. His tenth album Little Brother Is Watching features Dennis Leeflang on drums. With over 20 years of experience in the music industry Ron has collaborated with some of the most iconic musicians of our time. Most recently he has collaborations with DMC (Run DMC) and Scott Weiland (Stone Temple Pilots, Velvet Revolver, Art of Anarchy). 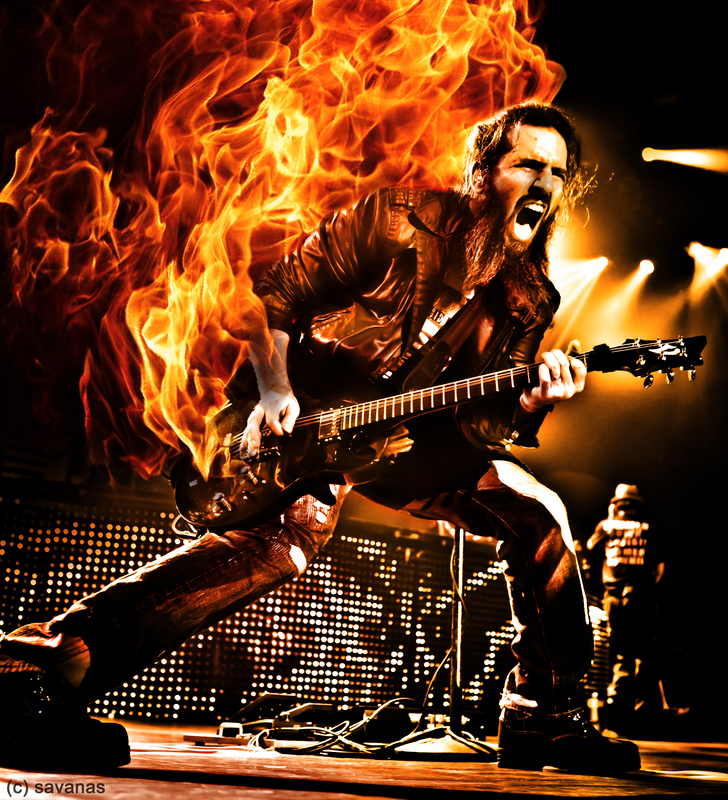 Bumblefoot also has music appearing in TV, film, and videogames. He works with U.S Embassies around the world on cross-cultural music programs and works with dozens of international charities visiting orphanages and children’s hospitals. Do you happen to remember what you very first favorite song was? Probably the theme to Sesame Street. (laughs) I started listening to music very young. What was it that first sparked your interest in music? I heard a lot of classic ’60s and ’70s rock as a child, but it was hearing the KISS Alive! album for the first time that made me want to play music and follow that path. By age 6 I had a band together, we were writing songs and playing shows. What is it like to work with the US Embassy to encourage musicians from all cultures? How did you first become involved in that? You also work with several charities. Do you think it is important that those in a position to help others do so? Every bit helps, any time we can all get together and combine our efforts for a greater good… Music is a motivator, and if I can do what I do to help others, then it’s worth doing what I do. That. Helping kids’ needs, medical research, and of course teaching. Someone gives you a gift, they teach you how to do something that changes your life and others enjoy – pay that gift forward. Share the gift you’ve received, teach. Seeing a student go on to do great things, then they teach others and those students get out and play, charity and teaching, the best parts of being a musician. What advice would you offer those wishing to pursue a career in the music industry? Be as self-reliant as possible, get experienced in as many aspects as possible. Besides the independence it gives you, you’ll discover a lot more aspects of the business that you may enjoy and also want to pursue. Being a musician is much more than playing on stage. When did you first develop your style of fretless playing? I got my first fretless in ’98, after a year with Vigier Guitars (www.vigierguitars.com). I started writing and recording with it, and one of the first songs I recorded became the theme for That Metal Show. I think they probably know more about me than they want to know (laughs). I don’t know what would surprise people, hmmm…one of the first times I ever sang, I was probably 4 or 5, it was the opera Carmen. What was it like to have the chance to collaborate with DMC and Scott Weiland recently? 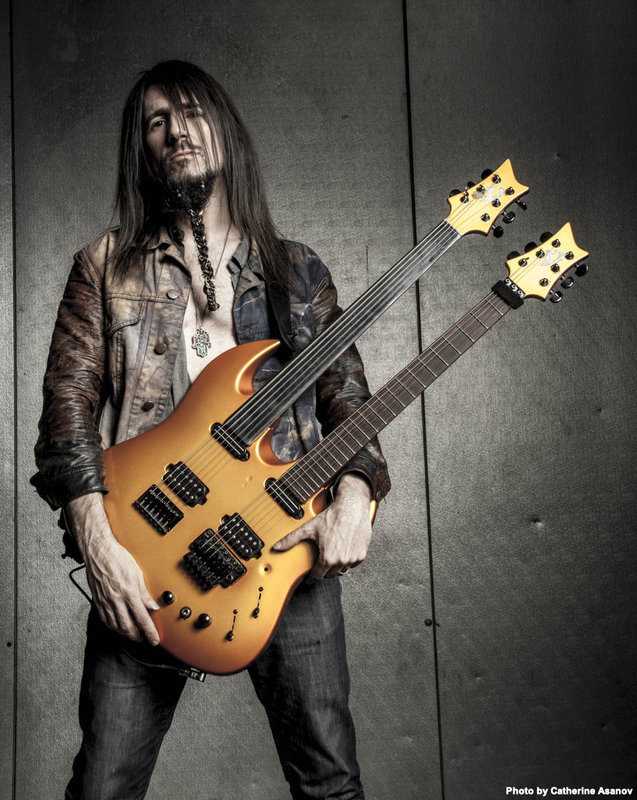 I love making music with people, and am happy to have so much music being released this year – new Bumblefoot album Little Brother Is Watching, Art Of Anarchy album (with Scott on vocals), playing on & producing the DMC / Generation Kill rap metal song releases. Can you tell us a little about the album Little Brother Is Watching? What influenced you to create it when you did? Been doing some guest solos for different artists, and will keep putting out music with DMC / Generation Kill throughout the year, perhaps some shows and video as well. The Art Of Anarchy single Til the Dust Is Gone has been hitting radio and the music video is now on YouTube (http://youtu.be/HFT1tW3XsL4), as well as the Little Brother Is Watching music video (http://youtu.be/VmwLc6MiZY0). I’m looking to do more videos this year. What direction would you most like to see your career take next? Just want to keep doing what I’m doing, more of it (smiles). I’d like to do more to support the independent music scene globally, I have a plan for a festival that would bring attention to international independent artists, but that’s a big undertaking and will require a strong team.I’ve also been doing more film music, for indie horror films and have been taking on some acting roles in them as well – just finishing filming for one called Clean Cut (http://www.facebook.com/cleancutthemovie) which will be out 2016. A big thank you to everyone for being such a big part of my life, I look forward to seeing you all soon! I’ll be at Corfu Rock School (http://www.CorfuRockSchool.com) August 1st – 8th. We spend a week at a resort together on the beautiful Greek island of Corfu, doing guitar workshops in the morning, then spend the afternoon at the beach and relaxing, a chef prepares lunch and dinner, and in the evening we work on songs and then we play gigs together at local pubs, jamming all night. I’ll also be doing 2 days of workshops at Raleigh Music Academy (http://raleighmusicacademy.com/2015-rma-summer-guitar-workshop/) June 12th & 13th in Raleigh, North Carolina – hope to see you all, thanks so much!